Syria's opposition agreed Sunday to unite against Bashar al-Assad and elected a cleric as its first leader. Syria's opposition agreed Sunday to unite against Bashar al-Assad and elected a cleric as its first leader. After four days of marathon talks in Qatar, the Syrian National Council finally signed up to a wider, more representative bloc centered on a government-in-waiting, as demanded by Arab and Western states. Muslim cleric Ahmed al-Khatib, 52, was elected to head the newly formed opposition grouping. Reservations in SNC ranks about what many members saw as a move to sideline it had prompted repeated delays in the Doha talks and mounting frustration among other dissident groups and the opposition's Arab and Western supporters. 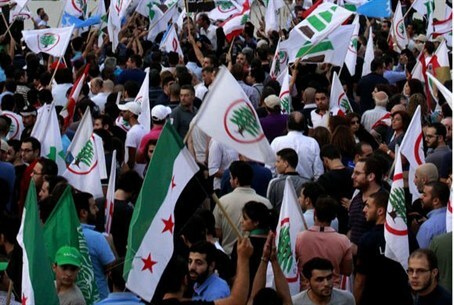 But after negotiations ran into the early hours of Sunday and resumed in the afternoon, the anti-Assad factions agreed to form a "National Coalition of Forces of the Syrian Revolution and Opposition." “We signed a 12-point agreement to establish a coalition," said leading dissident Riad Seif, who drew up the US-backed reform proposals on which Sunday's agreement was based. In a copy of the document obtained by AFP, the parties "agree to work for the fall of the regime and of all its symbols and pillars," and rule out any dialogue with the regime. They agreed to unify the fighting forces under a supreme military council and to set up a national judicial commission for rebel-held areas. A provisional government would be formed after the coalition gains international recognition, and a transitional government formed after the regime has fallen. The deal came after the SNC, which had formerly been seen as the main opposition group, heeded Arab and Western pressure to agree to a new structure embracing groups that had been unwilling to join its ranks. Former prime minister Riad Hijab, who fled to neighbouring Jordan in August in the highest-ranking defection from Assad's government, hailed the agreement as "an advanced step towards toppling the regime."